Continuous Strand Weaving: Shawl with fringe..soon to be un-fringed. Learning Continuous Strand Weaving by Rita Starceski. This is about my adventures of learning Continuous Strand or Continuous Loop Weaving. 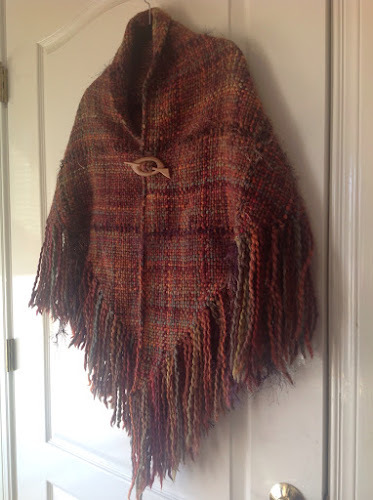 Shawl with fringe..soon to be un-fringed. I really like the fringe!